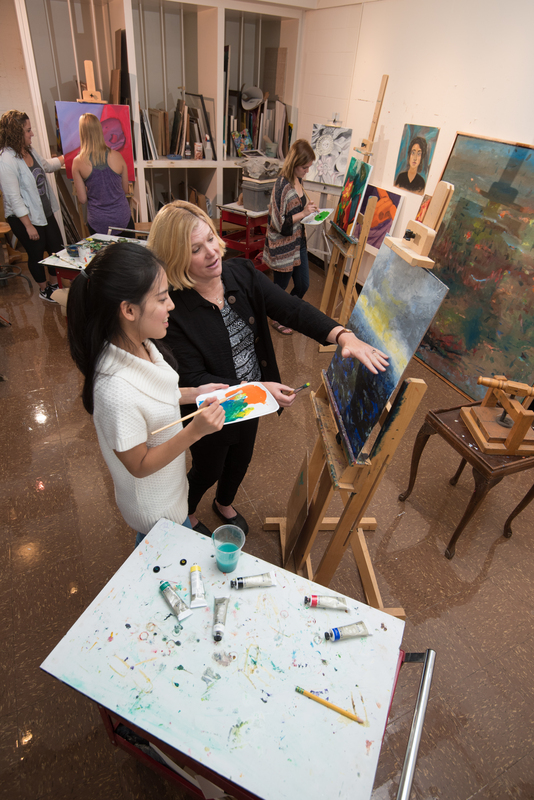 The mission of the Department of Art is to develop, produce, and maintain a curriculum and related activities that enable students to acquire a broad-based knowledge in the studio arts, art history, and art education. The Department will provide students with the essential skills, tools, and resources required for the personal interpretation and artistic expression in a wide variety of media. The students will also develop adeptness in critical inquiry in order to responsibly participate in the appreciation, production, and advocacy of art over a lifetime.